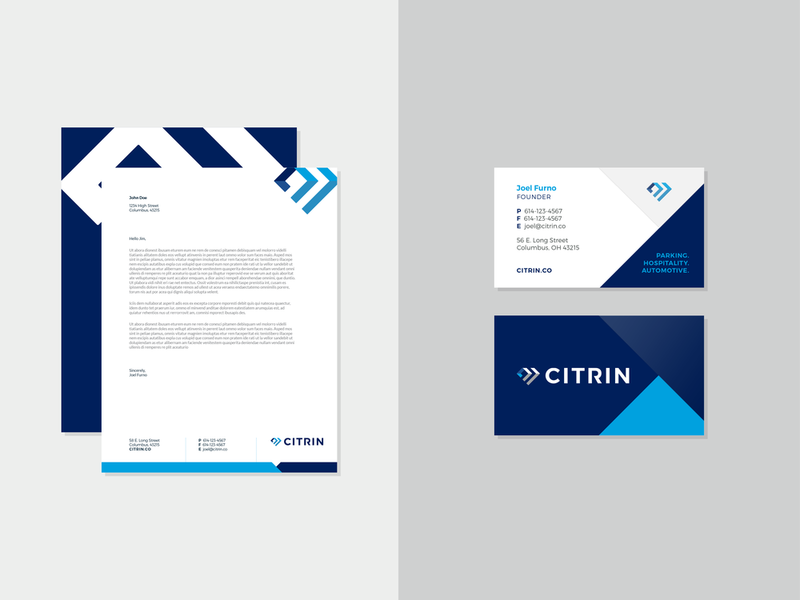 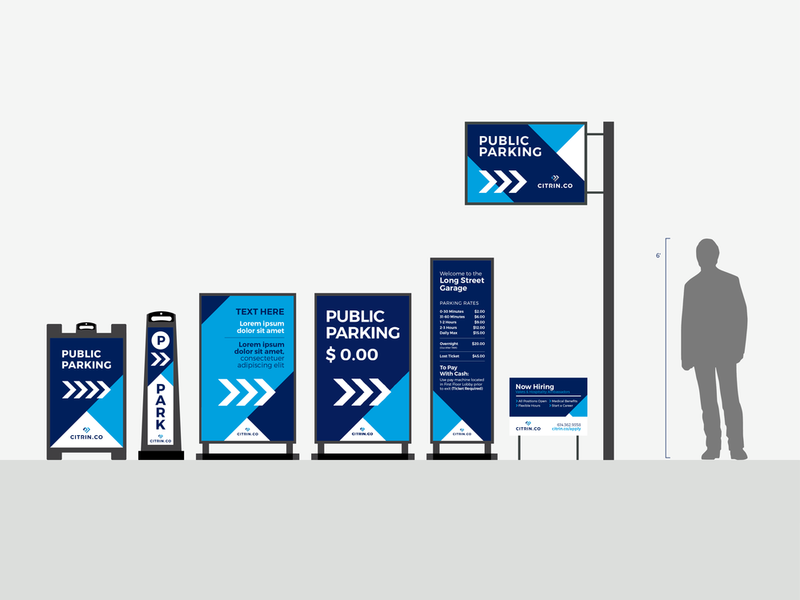 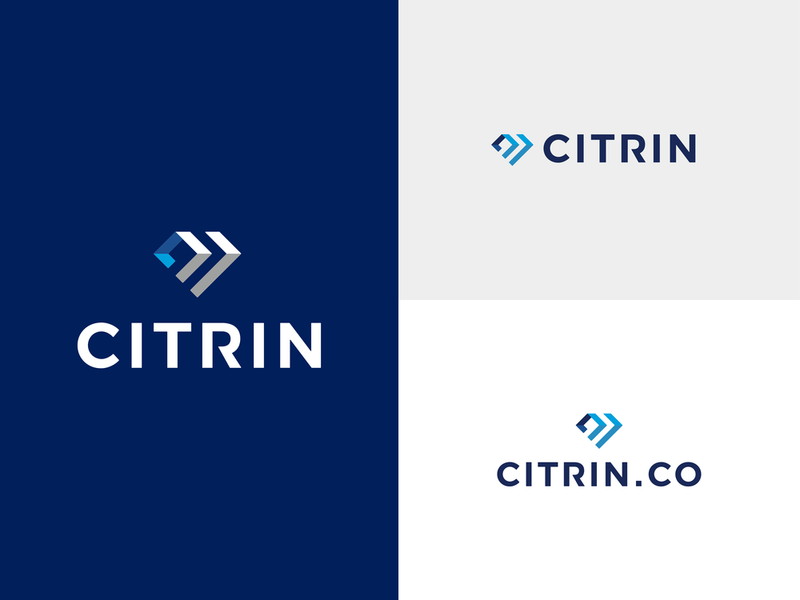 Citrin is a new name and brand for an established parking company based in Columbus, OH. 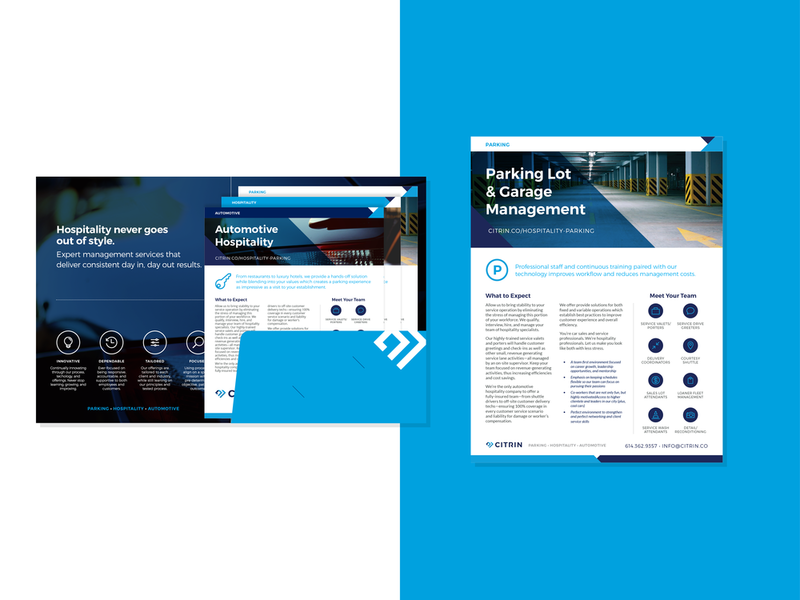 Creating a contemporary brand for an efficient, luxury valet company. 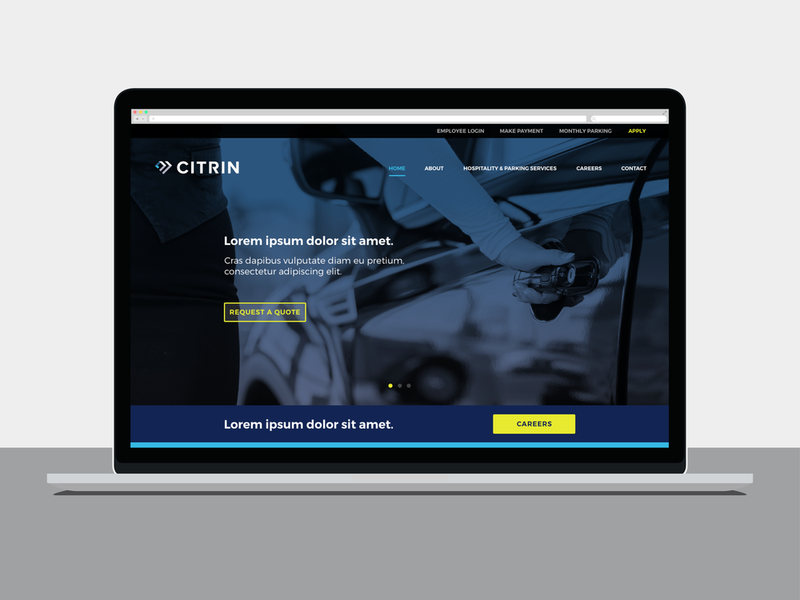 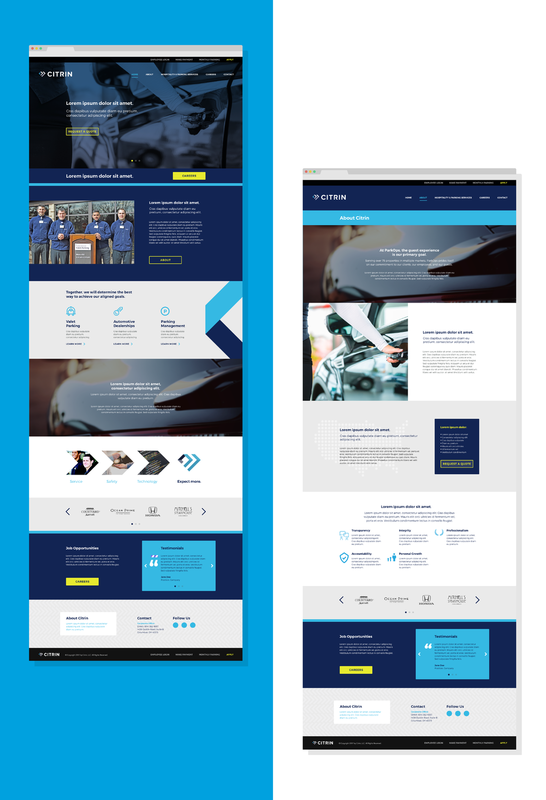 With a focus on innovative and dependability, Citrin creates tailored experiences for their clients in the hospitality and luxury auto space. 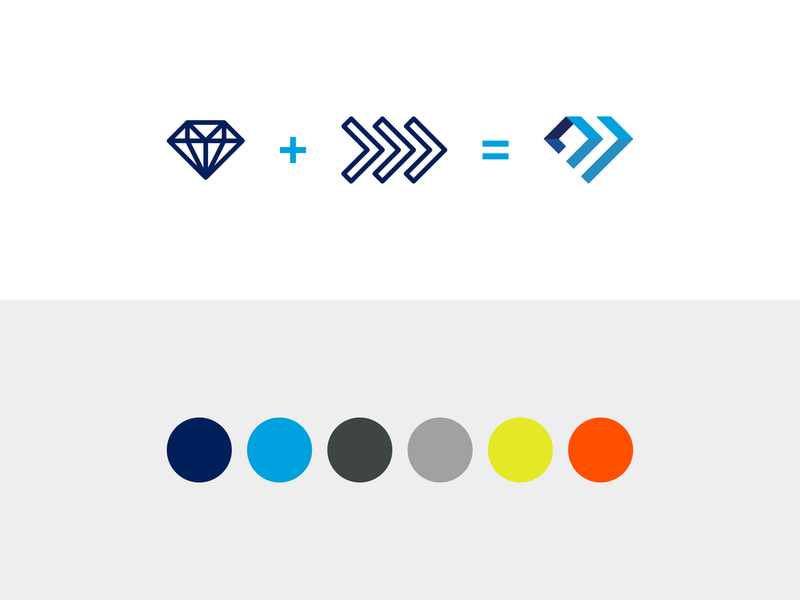 Their new brand identity reflects their commitment to "five diamond hospitality" and creates a distinct mark visible and identifiable in every neighborhood in Columbus.